Did you ever watched hermit craft players when they look at the list of online players and see their number of deaths? Thanks to xsumavoid for his nice tutorial, here you have the same feature. This mod basically adds a score board command without a need for your world to have cheating on or on servers without a need for the op to set the commands for it. 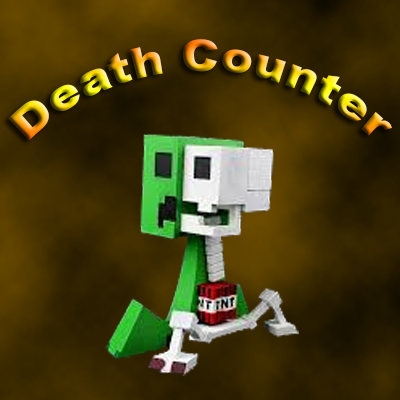 The only thing you need to remember is this, because this is a score board command, the moment you add it to your mod list, it won't keep track of death count before hand. In other words, you will only see the numbers from that moment and forward. The mod adds the commands to any world generation right then and there, but, if you add it to your list in the middle of world play, it will still work, only thing to remember is what i said above about the counting from that moment forward. Mod Packs : Feel free to add this mod to your pack, you don't need to ask permission. Have fun with it. Does this need to be installed on clients as well or just the server? Sadly it is needed on clientside as well as server.